If you shoot as much as the next photographer, most of your hard drive is taken over by pictures. Now, try to imagine how many of them are duplicate photographs or just visually really-really similar? Chances are, the answer is a lot. With a digital camera, you shoot about 10-15 takes from one angle or of one posture before you’re satisfied, right? And then you only choose one for editing. That’s 14 pictures that you will never need right there, and that’s every scene of every photoshoot. You must already be thinking about getting an external hard drive or buying cloud storage and moving your gallery, because your Mac’s space is not infinite. Or you might have already done that. Anyway, in the long run, billions of photos you no longer need keep piling up and it seems like there’s no escape from it. But worry not, there is. 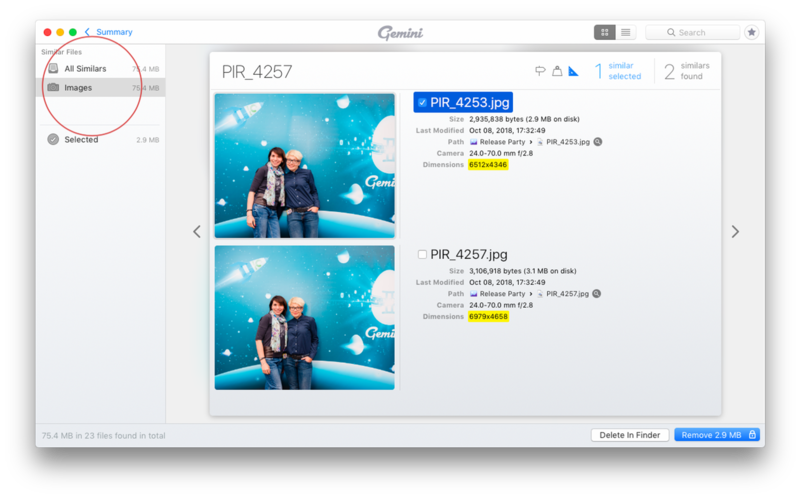 The problem with duplicate and visually similar photos is so commonplace that here at MacPaw we created a professional duplicate image finder, Gemini 2. Let’s take a closer look at how it can help you sort your photos. First, you need to find duplicate photographs in your gallery. Then you have to figure out which version to delete in each case. All that takes loads of time if done manually, and Gemini 2 does 90% of the work for you. Click Scan for Duplicates. Your Home folder is pre-selected, so Gemini 2 will check all files on your Mac. All the duplicate photos you have on your Mac will be grouped under All Duplicates > Images. Click on the group of photos to view them (Gemini has a built-in photo preview). Bonus tip: If you switch to grid view using the icon at the top, you’ll see bigger previews of duplicate photos. Double click on a group of duplicates to see all copies side-by-side, along with their metadata and location. The icons at the top will highlight the differences between the duplicates, such as location or date modified. Once you choose which copies you want to delete, check mark them and proceed to the next set of duplicate images by using those little arrows on the sides. Finally, click Smart Cleanup to delete all selected photos. And don’t worry, Gemini moves pics to a separate Gemini Duplicates album in Photos, so you can look through them once again before you give the final “Delete” command. That’s because Apple won’t let any third-party app delete anything from the Photos library. The Pictures folder contains your Photos library, so this should help you remove all the duplicate photos you have in there. Once you have duplicates off your Mac, it’s time to take a look at similar photos. 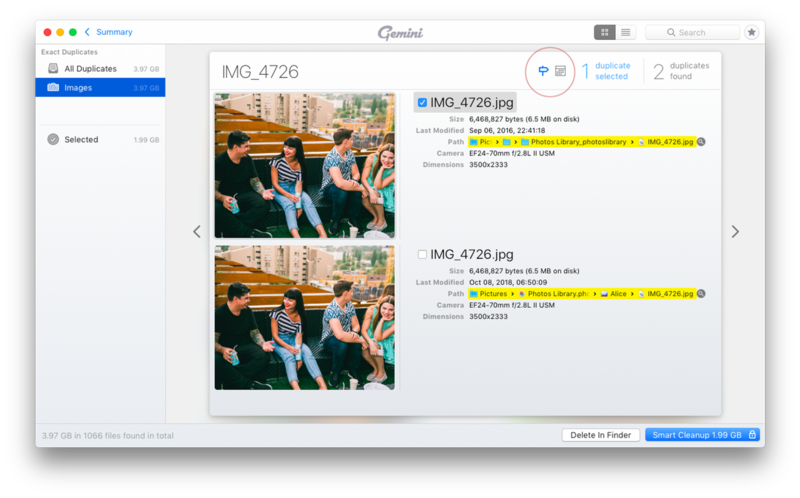 See, Gemini distinguishes between exact duplicate photos, which are several instances of the same image, and similars — photos that have different editing or were shot at slightly different angles. For instance, here are two pictures with and without editing, in the same folder. Gemini will find them for you and mark as similar. Or here are three pictures that were taken a second apart. 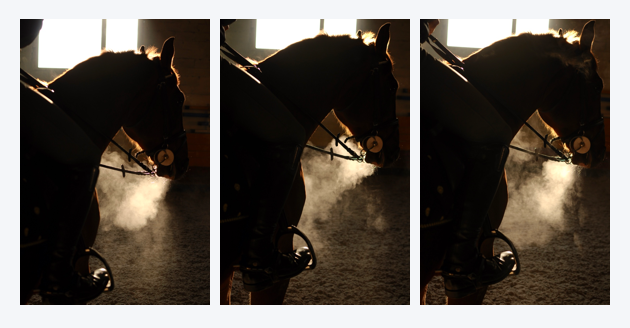 You definitely don’t need all three, unless you’re going for an art-housy installation on majestic horse breathing. To see all the similar photos the app has found, look right next to the duplicates in your left-hand menu. Go through similar shots just like you did with exact duplicate pictures, selecting those you want to delete. When you’re done, click Remove and delete all unwanted copies in bulk. Dealing with similars is pretty rewarding in terms of disk space, they usually take up even more than duplicates. After you get rid of similar images it's easy to organize your whole gallery and leave only those pictures that you’ll actually use. View your pics sorted by date (they are automatically sorted that way in the Photos tab). The Photos app groups pictures by the date taken, not the date they were imported. 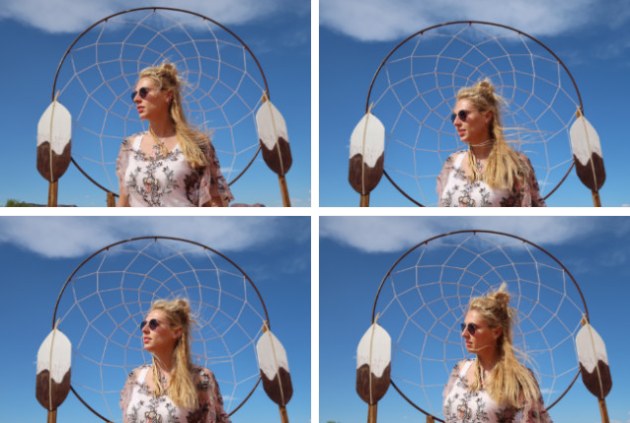 It’s safe to assume your duplicate photos were taken on the same day, so you’ll spot them more easily when they are side-by-side. Try Smart Albums as a way of narrowing down your search. 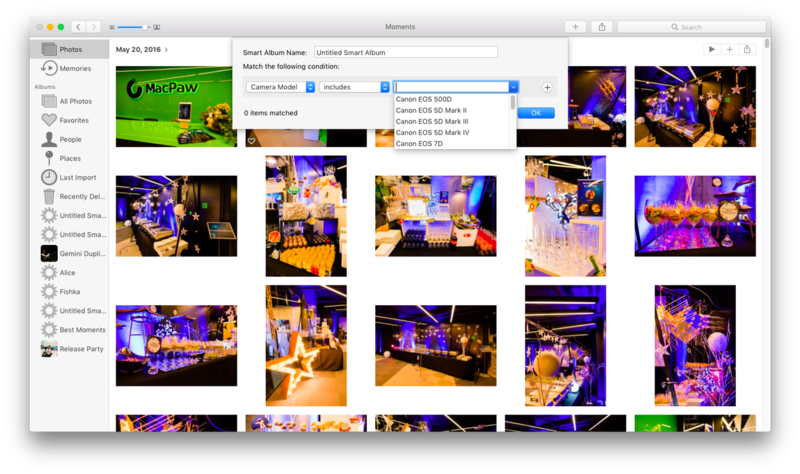 If for some reason Photos doesn’t detect the date taken, you can group your photos by the file name, camera model, and other parameters that might suggest they were taken at the same time. For duplicate photos that have different file names and image formats, criteria like the person in the photo might work. We all know that euphoric state in which you return home with an SD-card full of new pictures. We’ve all been there, editing feverishly to publish or print them right away. It’s ok to be a little messy in that moment, but months later you notice that your whole Mac is a mess. Don’t let those useless files eat up the drive space you need for future photoshoots. There’s nothing more frustrating than the “Startup Disk is almost full” alert when you’re uploading new pictures. It’s best to deal with space wasters with Gemini 2 long before that happens. Have a good day and may the Photoshop be with you.